Apple’s Mac and Windows PC are currently the two leading platforms for most of our day to day computing needs. Hence, this article, providing you with Mac vs PC comparison, in order to help you make an informed decision about whether to buy a Mac or PC. Once upon a time there was a clear and well defined divide or distinction between PC and Mac users. Those who needed a computer bought a Windows PC and those who had money bought a MacBook – It was that simple! However, currently the imaginary line between Windows PC and Mac is fading, mostly due to Windows computers trying to compete with Macs in the looks department and becoming as expensive as Macs. 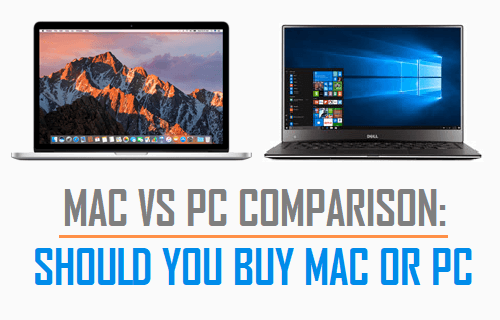 Hence, the question “Should you Buy a Mac or PC” and search for terms like Mac vs PC, Mac Vs Windows PC comparison and similar terms is showing an increasing trend and becoming more relevant to consumers looking to buy computers. You will find below a listing of both Advantages and Disadvantages of Macs and PCs, which should help you in deciding whether to buy a Mac or a Windows powered PC. 1. 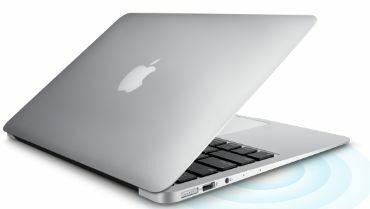 The biggest advantage of Macs is that they are well designed, sleek and visually appealing. While Windows computers are trying to match Macs in the looks department, they are ending up costing the same as Macs. 2. Macs come preloaded with almost all the software required to prepare documents (Pages), run spreadsheets (Numbers), create presentations (Keynote) and basic Photo Editing and Video Production software. In comparison, Windows computers these days are mostly being shipped with trial versions of Microsoft Office. 3. In general, Macs have acquired the reputation of being less complicated, easy to use and trouble free compared to Windows Computers. 5. Going by past data, chances of being hit by viruses and malware on Macs are less compared to PCs. This could be due to a variety of reasons, ranging from Windows PCs having a larger user base to Windows Software being more familiar and appealing to attackers. 6. All the pre-installed software programs on Macs come directly from Apple and appear to be well tested and optimized to work well on Macs. In comparison, Windows computers suffer from bloatware due to pre-installed software coming from multiple sources – Microsoft, Manufacturer and associated companies. 7. Apple products rank high in terms of quality and customer satisfaction. When you buy a Mac, there is absolutely no doubt that you are getting a product of the highest quality. It is difficult for Windows Computers to match this level of quality and customer satisfaction due to multiple manufacturers trying to sell Windows computers in multiple configurations. 8. Macs work better and flawlessly with other Apple products. This means that you are better off going for a Mac in case you use an iPhone. 9. The customer support at Apple is consistent, transparent and better compared to Windows Computers. If anything happens to your Mac, you can head straight to the nearest Apple Store in your location and expect support both for hardware and software related problems. Such level of support is not possible in Windows computers due to software coming from Microsoft and hardware being assembled by a variety of PC manufacturers. 10. Whether you like it or not, Macs appear cooler/trendier and people are willing to pay more for Apple products. 1. The biggest advantage of a Windows PC is its availability at multiple price points. Since, Windows PCs come from different manufacturers in multiple configurations, there is always a Windows Computer that can match your budget. In comparison, Macs are available in limited models and at fixed price points, which you may or may not be able to afford. 2. The second biggest advantage of Windows PC is its productivity software. Most Windows computers come preloaded with Microsoft Office which includes two of the most popular productivity software programs in the world – Microsoft Excel and Microsoft Word. 3. In case you are a gamer, you have no option but to go for a Windows PC. Macs simply do not have the Processing power, RAM and high end graphics cards required to play PC games. 4. Windows computers are available in multiple configurations and allow you to choose from various types of Processors, RAM, Storage, Ports, Displays and other options. 5. In general, Windows Computers offer superior hardware at competitive price points. In comparison, Mac users appear to be paying a higher cost for comparatively lower level of hardware. However, it needs to be mentioned that almost every component on an Apple product is optimized for better performance, tweaked to consume less power and generate less heat. 6. Accessories for Windows Computers are easy to find and available at competitive prices compared to Macs. This makes Windows computers cheaper to operate and run compared to Macs. 7. It is easy to upgrade, reconfigure and refurbish Windows computers. This aspect of Windows computers appeals to tech savvy users who enjoy such activities. 8. In general, more Software programs are available for Windows PC compared to Macs. 9. Windows Computers have better backwards compatibility compared to Macs. For example, it is not uncommon to find 5 to 7 year old Windows computers running the latest version of Windows 10 without any problem. 10. Windows community and user base is larger compared to Macs. This practically means that it is easy to get support and advice for software and hardware related issues for Windows computers. 1. The biggest disadvantage of Macs is that they are expensive compared to PCs. 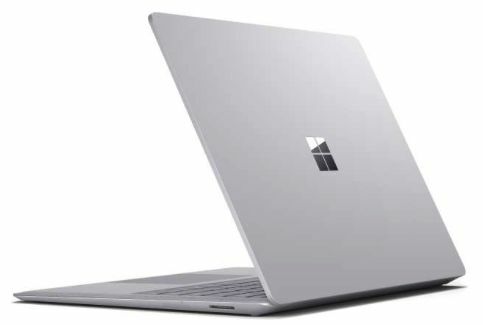 However, as mentioned above, Windows Computers are getting expensive and the gap between MacBook Air and a comparable Windows Laptop is not that much. 2. The second major disadvantage of Macs is that most of the work related software like Microsoft Excel, AutoCAD, Timberline, Primavera and Accounting software is designed for Windows computers and not for Macs. While Macs have their own version of Excel (Numbers) and Microsoft Word (Pages), these programs are no match for the Power and Versatility of Microsoft Excel and the practical functionality of Microsoft Word program. While you can buy Microsoft Office made for Macs, it is not uncommon to come across users reporting missing features, problems and overall lack of power while using Microsoft Excel on Macs. 3. Macs are clearly not built for playing PC Games. Even the most advanced MacBook Pro does not have the processing power, RAM and the Graphics to play PC Games. 4. Using a Mac is fundamentally different than using a Windows computer. Those coming from Windows PC background to Mac will require patience to get used to the way Macs work. In the first few weeks you may often feel like going back to Windows PC. However, once you get used to Macs you should be able to work as effortlessly on a Mac as you used to on a Windows PC. 1. Windows computers are clearly getting more expensive and most likely driving budget customers to consider using a Mac Mini or even MacBook Air which are now available at tempting price points. 2. Windows computers come pre-loaded with bloatware from manufacturers, which makes them slow and buggy. While those with technical abilities can easily get rid of this bloatware, average computer users are not really equipped to deal with this issue. 3. Due to their large user base, Windows Computers are considered as being primary candidates for attack by hackers and computer viruses. However, it is not difficult to minimize this risk by keeping the software on your computer updated and installing a good antivirus program on your computer. 4. Although the situation is improving, software updates on Windows Computers are still far from being trouble free. As far as consumers are concerned, the decision to buy should be based on which platform really suits you better, while taking into consideration the purpose for which you are buying a computer and the budget allocated for your purchase. For example, Windows PC is a better option in case your work requires the use of Microsoft Excel and other productivity or work related Software Programs. The same holds true, in case you are buying a computer for general and recreational use and your idea of fun is to play high intensity PC Games. When it comes to budget, College students surviving on borrowed money are clearly better off buying a cheaper Windows PC or a Chromebook, instead of piling on more debt by going for an expensive MacBook Pro. However, if you are working part time and having a MacBook makes you feel better (does it !!?.. ), make sure that you go for MacBook Pro and promise yourself that you will do better at both studies and work! iPad Vs iPad Mini Comparison | Which One to Buy?